Q.: I’m thinking about purchasing a SunPower® home solar system. Why would I choose A-Series solar panels? A.: A-Series panels incorporate the best of SunPower’s high performing, reliable technology into the world’s first ever 400 and 415 watt commercially available residential solar panel. A-Series panels are an excellent choice if you want to get the most energy from your roof in a constrained space, maximizing your electricity bill savings. Q.: What’s different about the design of this solar panel? 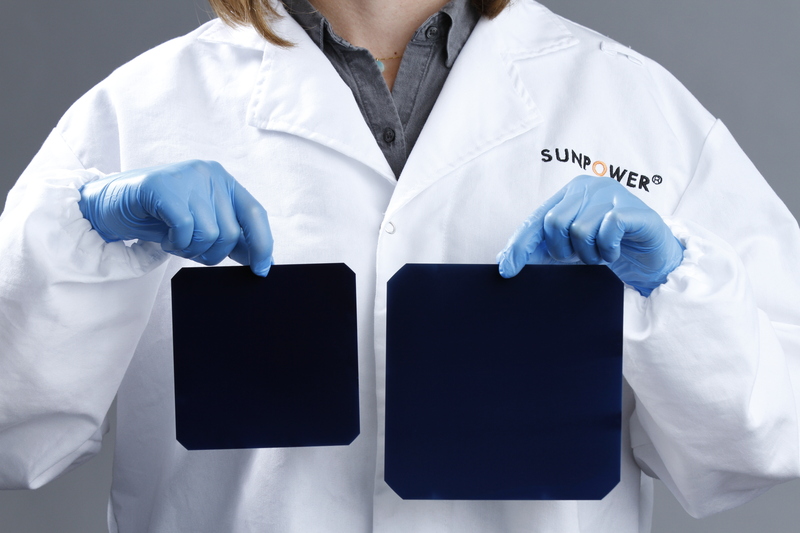 A.: The foundation of this solar panel is the Maxeon® Gen 5 cell, which is 65 percent larger than prior generations, delivering a powerful and highly efficient panel.1 Our unique interdigitated back contact cell technology makes this panel industry-leading for durability and energy generation. The larger size cell converts more sunlight into energy. The result is more power than any commercially available home solar panel. No one can touch this. Q.: You’re known for your X-Series panels paired with your Equinox™ home solar solution. How will A-Series panels fit into your product line? A.: A-Series panels continue the evolution of our “less-is-more” design philosophy that made our Equinox system a game-changer. With A-Series panels, we’ve simplified the system design even further, reducing the number of parts on your roof and reconfiguring how the microinverter is connected. This simple and reliable design helps each panel deliver the maximum amount of power, especially in instances where some of the panels may be shaded part of the day or in hot weather. This ensures your system is generating as much energy as possible while the sun is shining. We’re delivering the most energy out of a panel that we’ve ever provided for a homeowner. Q.: I have limited roof space. Will the A-Series panel work well in this situation? A.: Yes, A-Series panels produce 60 percent more energy in the same space over 25 years compared to conventional panels2 — no other solar manufacturer offers anything close to 400 watts, and we’re offering up to 415 watts. Lower watt panels mean you’d need more panels on your roof, and that means there are more potential points of failure. A-Series panels are not only more powerful, they are also backed by SunPower’s industry leading Complete Confidence Warranty. A-Series panels give you the most power and the most assurance. Q.: How do I purchase a SunPower solar system with the A-Series solar panels? A.: The first step is to sign up for a free evaluation of your home with one of our solar advisors or call 1-800-SUNPOWER. We’ll start selling a limited quantity of the A-Series solar panels later this month via the SunPower Master Dealer network, a national network of solar professionals who exclusively install SunPower. Try out our solar calculator to see if solar makes sense for your home. If you’re thinking of going solar, do it in 2019 because the 30 percent federal investment tax credit will start decreasing in 2020. Check out a video about the A-Series panel on our YouTube channel. 1 Based on search of datasheet values from websites of top 20 manufacturers per IHS, as of January 2019. 2 SunPower 415 W, 22.2% efficient, compared to a Conventional Panel on same-sized arrays (260 W, 16% efficient, approx. 1.6 m²), 8% more energy per watt (based on PVSyst pan files for adv. US climate), 0.5%/yr slower degradation rate (Jordan, et. al. “Robust PV Degradation Methodology and Application.” PVSC 2018).